Asus has rocked the CES 2015 after launching your dream smartphone, the all new Asus ZenFone 2 at CES 2015 priced at $199 along with mid-range, ZenFone Zoom( $399). Asus ZenFone 2 will be available in Q2 2015 by April in Ceramic White, Glacier Gray, Glamour Red, Osmium Black, and Sheer Gold in starting price at $199 (Approx. Rs. 12,600) while ZenFone Zoom will be available in Q3 2015 in Glacier White and Meteorite Black colours priced at $399 (Approx. Rs. 25,300). 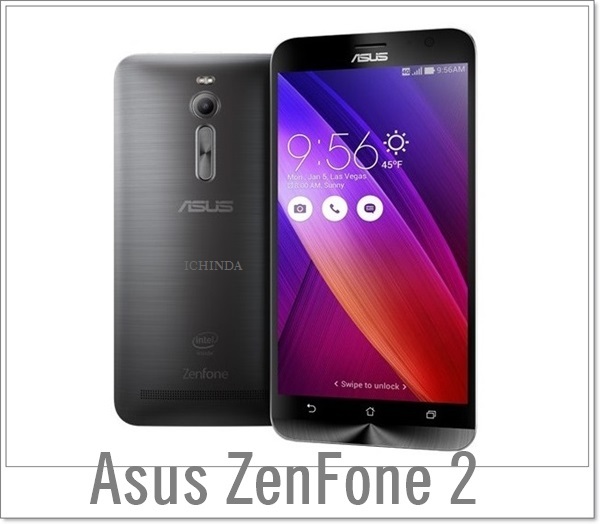 Asus ZenFone 2 is the world’s first smartphone comes with a 4GB RAM supports Dual-SIM (GSM+GSM), Micro SIM with 4G LTE (Cat. 4), 3G, GPRS/ EDGE, GPS/ A-GPS, Bluetooth, Glonass, Wi-Fi, USB OTG, and NFC comes with a 5.5-inch full-HD (1080×1920 pixels) IPS display with pixel density of 403ppi and Corning Gorilla Glass 3 delivers stunning color consistency from almost any angle perfect for watching movies, playing games and reading e-books. Asus ZenFone 2 runs on Asus ZenUI based on Google’s Android 5.0 Lollipop and powered by a 64-bit 2.3GHz, Intel Atom Z3580 quad-core processor with 4GB/ 2GB RAM variant and 16GB/32GB/64GB built-in-storage and 64GB external memory(ASUS WebStorage 5GB lifetime) makes multitasking a fun, gives immersive game environments and reducing power usage and heat. Asus ZenFone 2 combines dual-powerful camera for shooting which includes a 13-MP rear camera with f/2.0-aperture, autofocus and 5-MP front facing camera for clicking selfies and making video call. It also includes a 3000mAh battery with fast-charging technology allows you charge your smartphone up to 60 percent in just 39 minutes measures 152.50 x 77.20 x 10.90 and weight just 170gm. 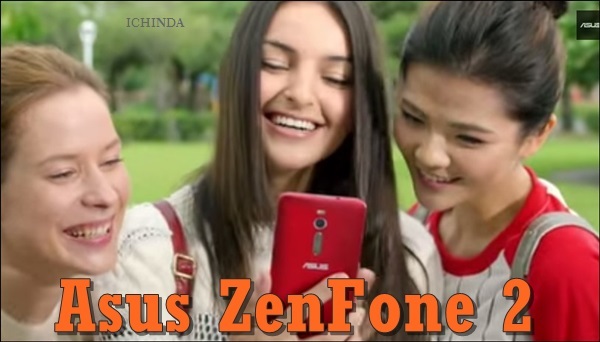 At last few honest word, Asus ZenFone 2 is coming to rule the smartphone market. What you think? Please be open to give your view. Nice to hear !! Really awosome features!! Gud job asus team! are you telling about 4gb ram model price ? Unbelievable work from u guys..1st lot of congratulations for ur achievement.. Whenever this phone will be available in Indian market.. Please inform me.. I want to grab it badly.. Please announce the releasing date and 4gb ram price..
waiting for d availability to buy the incredible Asus Zenfone 2…. Tempting spec and will give tough competition to branded mobile companies. Please reply launch date in India. I am waiting buy of this phone. It expected to launch by March in India…. Dying to get my hands on this beauty!!!!!!!! Specs look amazing on the paperwork expecting it to work the same on benches . Expected to release in the early Q2 prices will be somewhere between 12k – 15k Let’s see whatt’s ahead…………….. WHEN will it release ??? Best smartphone in this price…. Really really unbelievable features…. Eagerly waiting for this one…. please conform release date…. Notify me when it is available……….. It is excellent price and very gloss feature. its really nice job by ausus team. it will b market leading smartphone wit budget plan. Specification is excellent. Inform the release date in India. i am waiting buy of this phone. Zenfone 2 2gb,16gb kab milega. No.1 mobile phone in 12600rs. After read key feature its really advance phone,bt its a unique advaceness in this phone.which is fulfill all needs of every people in India.like battery,camera or etc.bt battery 1 & camera two things are main & recover very well.also charging function in this phone which is also a problem facing by the people extra ordinary function this which make the really smart at present amongst all phones.i dont’t know really the phone perform like dis as above bt after all its the real smart phone. Thnks…….& go with this also genuene price for the phone……..